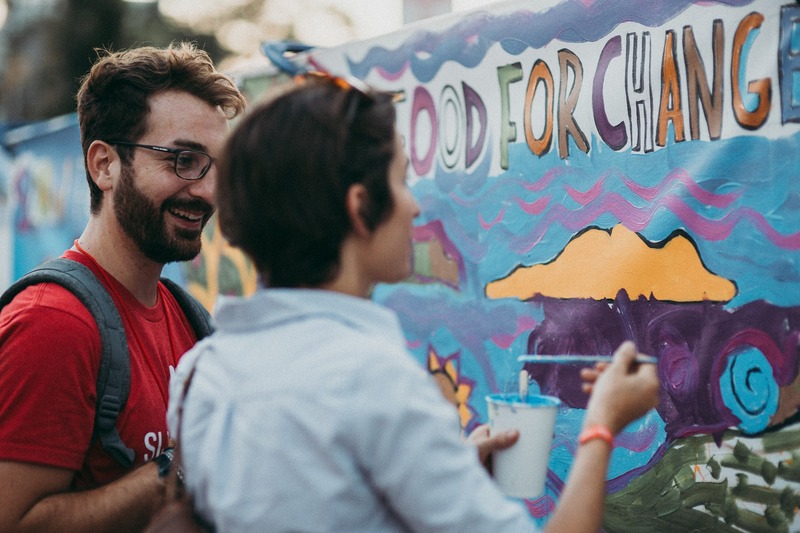 The Slow Food Leader Summit in Denver approved a formal commitment to food justice. In the years since, Slow Food’s 1989 Founding Manifesto was written and signed in Paris, the food movement has evolved. At the 7th Slow Food International Congress hold in Chengdu, China (September 29 – October 1 2017) the 4000 delegates, representative of the Terra Madre and Slow Food network from 90 countries, approved the Declaration of Chengdu which among other statements declares that “Slow Food reject any form of political, economic and social exclusion that turns into outlaws people who migrate on account of conflict, violence, discrimination, eviction, poverty and natural calamity. We oppose every thought and action that deprives the weakest segments of the population of their rights, that rides roughshod over indigenous cultures, that fails to hold women, children and the elderly in due esteem”. Many new voices have now joined Slow Food USA to articulate similar holistic concerns previously left out of the discourse. For instance, the Food Chain Workers Alliance, Good Food For All, the Detroit Black Community Food Security Network, and others provide complementary and authentic critiques of a food system shaped by unsustainable desires for scale, speed, efficiency and an innate need to treat people and places as objects from which to extract resources. Jim Embry, farmer and food activist, led the Equity, Inclusion and Justice Manifesto Working Group and said: “This needs to be the sacred work of every state chapter of Slow Food USA if we are to manifest the spirit of Terra Madre and reach the potential that is meant to be part of our destiny”. Slow Food USA is indebted to all the Equity, Inclusion and Justice Manifesto Working Group: Charity Kenyon, Julie Shaffer, Khai Nguyen, Jennifer Breckner, Michael Easterling, Tiffany Nurrenbern, Philip Lee, Peter Morich, Sophie Javna, Jovan Sage, Brenda Ruiz, Sofia Unanue, Willow Blish, Howard Conyers, Denisa Livingston, Kevin Mitchell, Aretta Begay, Jacquelyn Ann Ross, Jennifer Casey, Kathryn Underwood, Ben Burkett and Chanowk Yisrael, and others who devoted time, talent and treasure to make the organization better and stronger.